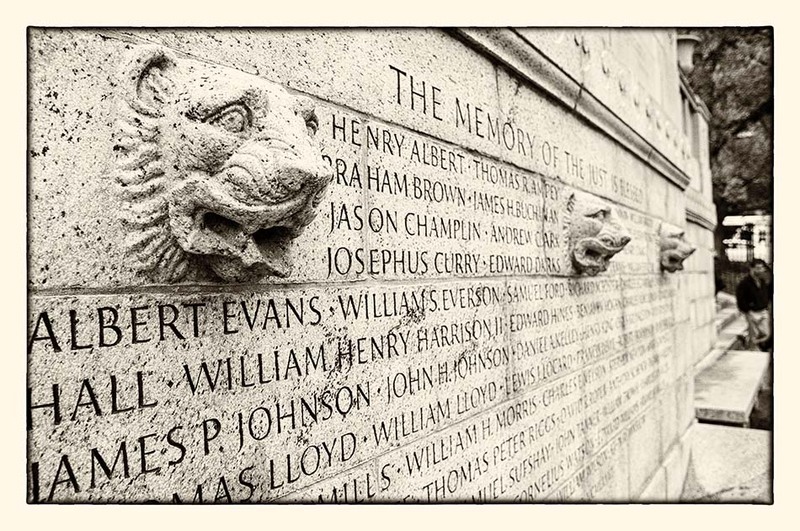 Names inscribed on the back of the Robert Gould Shaw Memorial of the Massachusetts 54th Volunteer Regiment. I like the way you took the picture. Those monuments are always very moving..
Amazing picture, I like a lot the angle and b&w! I like the lines and perspective in this photo. Great! I had to look Robert Gould Shaw up and then I got clicking. The America Civil War history is fascinating! Well framed shot that works well in monochrome - the Civil War is fascinating, still alive in the South. This is a terrific perspective. As often as I passed by that monument while living in Boston, I never inspected the back side. Thanks for this photo.